All Test Rights Reserved. It was only when he met Javed Akhtar on the sets of ‘Lootera’, that thought of doing some thing which made a difference. Born in 1945 to Jan Nissar Akhtar's, poet and lyricist Javed was a clapper boy who later moved up the ladder to writing dialogues. 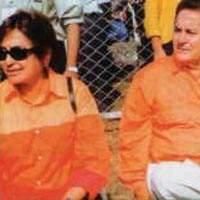 The two instantly got along and formed their own scriptwriting duo called Salim-Javed. Seeta aur Geeta (1972 was their first big success and ever since they haven’t looked backed. The first of the scriptwriting teams to take writing to star status with highest professional fees , they were very prolific in giving block busters like Zanjeer (1973), Deewaar (1975), Sholay (1975), and Trishul (1978) to name a few. 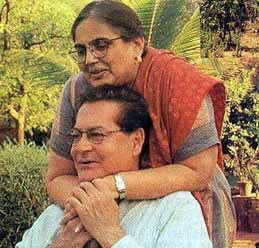 But since their break-up in early 1980’s they have not been able to recreate that magic alone on their own Born on 24th Nov.1935, in Indore, India to a police officer, Salim’s mother passed away while he was still very young. He got married to a Hindu Marathi lady in 1964 Sushila renamed to Salma after marriage. Unhappy with the marriage, Salma’s parents broke every relationship and were not on talking terms for seven years after the wedding. Salim and Salma gave birth to: Salman (b. 1965), Arbaaz (b. 1967), Sohail (b. 1970), Alvira. Andt they also adopted a daughter named Arpita. Salim married again to his second wife in the late 1970s, the dancer/actress Helen, who lives in a separate household. The sore relations between the two families initially gave way to eventual peace and happiness when Salim's children by his first wife became fond of his second wife as well.